The past five years have marked a striking change in the country’s insurance landscape in the aftermath of the mandatory segregation of life and general insurance operations into two separate legal entities, and the adoption of the risk-based capital (RBC) model along the lines of what countries such as Singapore, Malaysia, Thailand, Japan, South Korea, Australia, Indonesia and Taiwan have implemented. There is little doubt that these regulatory changes have enhanced the financial stability of the sector and benefitted its perception from an investors’ point of view. Clearly, the sector seems to have emerged from the tough times it experienced a few years ago: today, it is growing at a steady average of about 12 percent in terms of gross written premiums (GWPs). Presently, motor insurance accounts for as much as 60 percent of general insurance business. 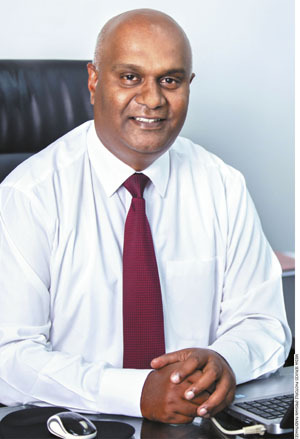 At the same time, Rajapakse believes that mergers and acquisitions in the life insurance sector will also occur, adding that while life insurance penetration is low in the country – which implies that potential exists – it’s really a matter of affordability. “How many people in Sri Lanka can put aside Rs. 2,500-3,000 monthly to pay their insurance premiums? The rising cost of living makes insurance a non-essential or even luxury expense that is easily dispensed with,” he rues. POLICY SAFEGUARDS The policy distribution model is largely agency-driven. But the policy-lapse rate is also high, which points to the fact that agents might be selling insurance policies to people who cannot sustain their premiums. Between 2011 and 2014, 500,000 policies were inked annually on average. At the same time, about 450,000 policies lapsed each year, implying that they’re being sold to an ‘already sold’ segment. Clearly, the high policy lapse rate is an area of concern and needs to be addressed. In 2011, the number of policyholders in the country stood at 2.3 million, which grew to 2.6 million by 2014. 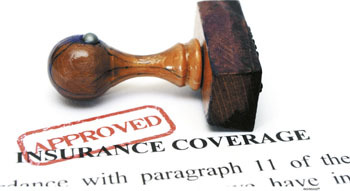 “The overall awareness about insurance is low in Sri Lanka. For example, fire insurance should account for a much larger percentage of the business than it is currently,” he adds. But he believes that a rise in per capita incomes will lead to upside in the business of insurance as greater disposable incomes should give rise to an increase in insurance policies. The rising middle class will feel the gap in protection and reach out for insurance cover, he declares. Rajapakse mulls over the fact that since some employees are offered insurance cover, this could be bundled to provide life cover as well. This may be why individuals aren’t opting for life cover separately. REGULATORY AFFAIRS Overall, Rajapakse is impressed by the manner in which the insurance sector has transitioned through the segregation of operations and the RBC model, strongly supported by the regulator. “The interaction between the sector and regulator was positive, and the open relationship helped the sector make the necessary adjustments … Regular sector-wide CEO meetings and the mood of closer collaboration benefitted the sector as a whole. Most insurers have met the RBC criteria on schedule,” he states. ENHANCING RESOURCES Commenting on the sector as a whole, Rajapakse believes that the competencies of insurance staff must be improved through more training. He laments the high turnover of insurance agents, pointing out that for most companies it takes two years of intensive training to turn out a productive agent. Encouraging agents to gain membership of the Million Dollar Round Table, annual overseas tours, extensive training and positioning insurance sales as a lucrative long-term career have been the key areas of focus to retain agents. As far as the micro-insurance or SME segment is concerned, the agency model isn’t economical to reach the market. What’s more, the sector has to still pioneer a low-cost distribution model. Meanwhile, leveraging on technology might help reduce distribution costs. 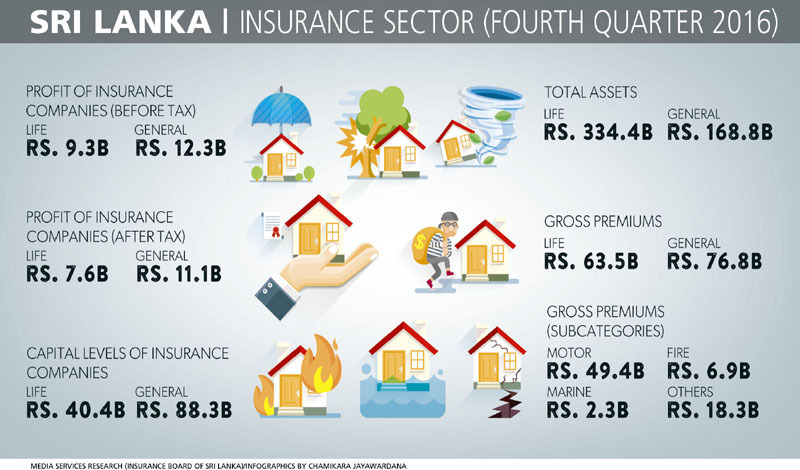 GOVERNANCE CONCERNS Rajapakse takes pride in the fact that overall, ethical standards are excellent as there’s a high level of accountability by all insurers and the security of investors’ funds is guaranteed. He observes that “there are many experienced professionals in the sector and they have a strong concern for maintaining good governance” while calling for the private sector to be allowed to participate in state insurance business – and for the state to grant a percentage of large public infrastructure projects to private-sector insurance companies. “If at least 50 percent of insurance on foreign projects is shared with the private sector, it will help grow and expand the general insurance business, and reduce dependence on motor insurance by including fire, marine and so on,” he concludes.